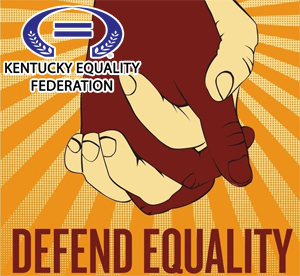 Kentucky Equality Federation - Earth Equality Alliance - Marriage Equality Kentucky Press Office: Condemnation of Black Youth Project Statements: "Keep your white friends and partners away from Black Pride events," and "When white people enter a space, anti-Blackness always does too" Kentucky Equality Federation - Earth Equality Alliance - Marriage Equality Kentucky Press Office: Condemnation of Black Youth Project Statements: "Keep your white friends and partners away from Black Pride events," and "When white people enter a space, anti-Blackness always does too"
Condemnation of Black Youth Project Statements: "Keep your white friends and partners away from Black Pride events," and "When white people enter a space, anti-Blackness always does too"
LEXINGTON, KY -- #Pride #AllLivesMatter #DefendEquality The Kentucky Equality Federation, the American Federation of NGO’s, and their member organizations recognize the renewed energy of activists in the Trump era, but we must act with tact and skill and resist a relapse to what Trump represents, especially to the LGBTI, Black, Latino communities and Women. Additionally, we will not permit so-called Right Wing ‘Christian’ fundamentalism to conquer and divide us. We shall stand tall and walk tall, united in love and friendship, that is the biggest threat we represent to the current era, but we shall not falter, we will prevail. Love and friendship are stronger than hate and prejudice. However, we must strongly condemn the recent Black Youth Project communication titled “Keep your white friends and partners away from Black Pride events,” and “When white people enter a space, anti-Blackness always does too,” and they call for segregationism and racism in the LGBTI community and the same between White and Black America. 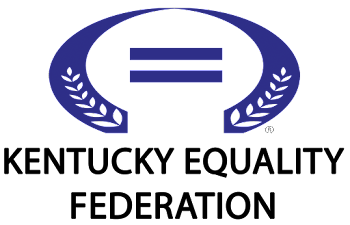 The use of the word queer is also condemned and vehemently rejected, by the brain fart organization (credit to Bruce A. Dixon of the Black Agenda Report for the use of the name ‘Brain Fart’ when describing this organization) and its sub-units; I am not a queer nor a fag, but I am gay. The statements of Hari Zared and the parent, Black Youth Project 100 (BYP100) a non-government organization (NGO) identified as being part of, or the power behind, #BlackLivesMatter. The true mentality of these articles is pure racism, bigotry, and hate. Additionally, I will attend whatever events I so desire. The information these organizations are bombarding our youth with is an offense to individual rights, with delusions of being politically correct or remotely accurate. LGBTI pride belongs to all members of the community, including our Black family. We must continue to pursue acceptance within our efforts, rather than seeking to segregate them. It is unthinkable that this brain fart organization and its subunits would seek to divide the community, down to individual partners and relationships, using racism as a weapon. This year, the broader LGBTI community finds itself under more pressure and attacks than it has been since the dawn of the marriage equality struggle, nearly two decades ago. Now is a time for us to all stand firmly together. When we divide due to pettiness and prejudice, the forces of inequality and intolerance gain an advantage against all of us. We will not be shoved back in the closet, and we will most certainly never allow it to be done because of neo-segregationism in our midst. We can overcome with love, but we must do so together and reject the offensive rhetoric of brain fart organizations who teach hatred and racism. People from all walks of life are welcome at LGBTI pride events, united in love and friendship. #GayLivesMatter, #AllLivesMatter, #WhiteLivesMatter, #BlackLivesMatter, and to use the Flag of the Races (also called the Flag of the Human Race) #RedLivesMatter, #WhiteLivesMatter, #BrownLivesMatter, #YellowLivesMatter, #BlackLivesMatter. The Flag of the Human Race has five horizontal stripes (from top to bottom they were red, white, brown, yellow, and black). This is said to be the inspiration behind #TheFreedomFlag, also called #NewGlory, and #PrideFlag, created by #GilbertBaker who passed away earlier this year.